By now, you’ve seen the John Oliver masterpiece succinctly pointing out the inequities in DC’s status as a federal enclave, right? No? Goddamnit, keep up here. Go look and then come back. As awesomely as John Oliver put it, it’s up to us, the residents of the District of Columbia to keep this fight going. And what better way than embracing the song at the end of it? We need your help! Well, not really yours, but your musically-inclined children’s help. This Sunday August 9 at 10 am, we’re going to meet up at the U.S. Capitol (not just for sledding!) and serenade them with our stirring rendition of the Washington, DC Statehood Song. Yes, yes, we know they won’t be there on Sunday, but it’s recess, so they won’t be there any other day anyway. That’s what YouTube is for. So here’s what we need from you: We need your kids promptly at 10 am. We’ll go through several rounds of practicing with Mike Showalter and Stephen Leroy will play the uke. When ready, we will get a group shot of us singing the song. We need the kids prepared, so spend the week learning the lyrics and practicing! Feel free to print your own copy of the lyrics and bring it along. 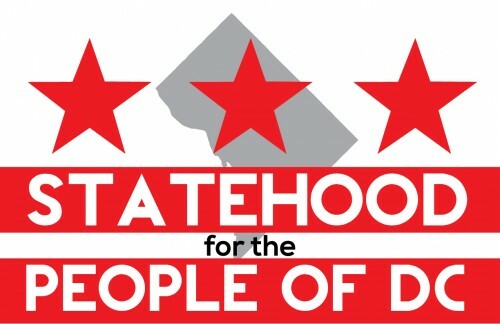 When: This Sunday, August 9, 10 a.m.
Why: Because statehood belongs to the next generation, and kids are cute. Exactly where are you gathering? The Capitol Grounds cover a lot of, well, ground. Hi Craig! Keep watching this space for more specific instructions.